Everyone loves Marvel Comics. There seldom is a guy or girl you encounter who hasn’t heard the term Superheroes. And Marvel Comics coupled with the Marvel Studios are at the top of their game right now. Captain America, Iron Man, Thor, the Hulk, Silver Surfer and the likes have always managed to wow the audience and readers with their fantastical superpowers and incredible back stories. But do you know everything there is to know about the Marvel Universe? If you really are a diehard fan of superheroes, can you tell us how the Marvel Universe came into being? No one knew up until now. Marvel Comics has finally given us an official explanation as to how the Marvel Universe came into existence and it is mind-blowing. Presenting – Marvel Comics Update: The Truly shocking origin story of the Marvel Universe revealed!!! Spoiler Alert – MAJOR spoilers for Avengers #5 by Jason Aaron and Paco Medina up ahead. If you still haven’t read it yet, we urge you to look away…. 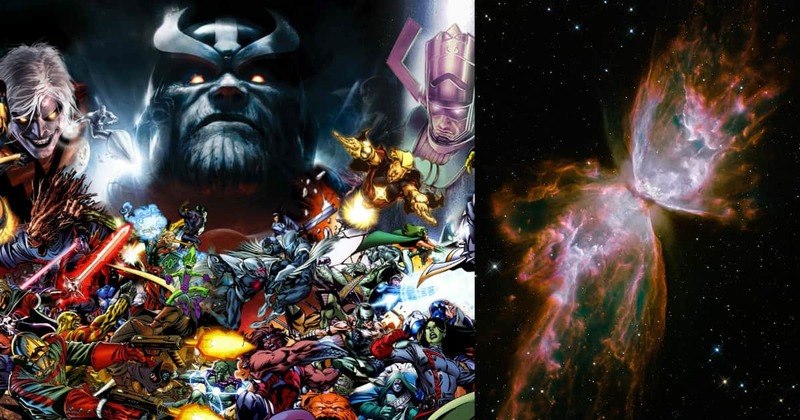 The Marvel Universe in general and the Earth, in particular, have been the epicenter of the superhuman saga in the Marvel Universe. The Inhumans, the Kree, the Skrulls, the Mutants and the X-Men and the Avengers and all other associated heroes exist side by side in this universe. The phenomenon of superpowers has existed ever since humanity came into being. In Avengers 1 Million, it has been shown that a superhero team even existed in truly ancient times. But why are there superpowers? What caused the sudden jump in superhuman activity in the Marvel Universe. Loki in Avengers #5 gives us the answer. The Secret Origin Story of the Marvel Universe is about to unfold right in front of your eyes and all because of the Asgardian God of Mischief couldn’t stop from being a blabbermouth. Are you READY!?!?!? Avengers #5 picks up where the last issue i.e. Avengers #4 left off. 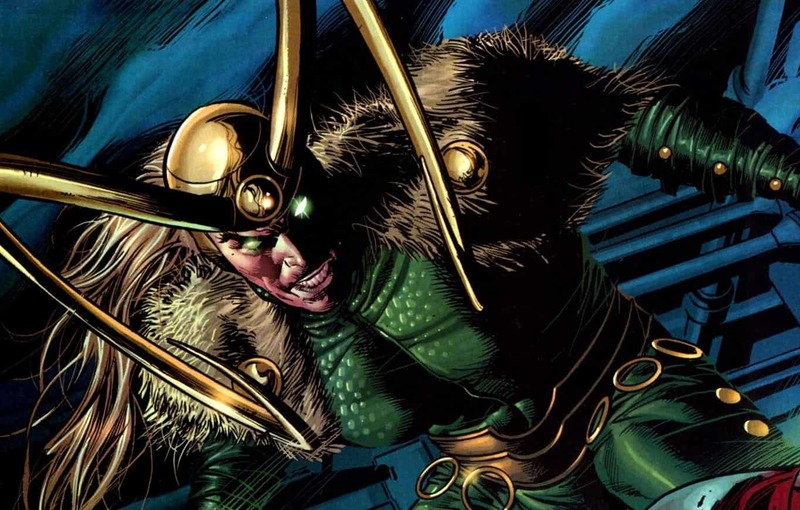 Loki has taken Captain America aka Steve Rogers as a prisoner after a battle and heads to the North Pole. In the deep and icy waters of the North Pole, Captain America is forced to see the sunken corpse of a long-dead ancient celestial. And here is the official story. 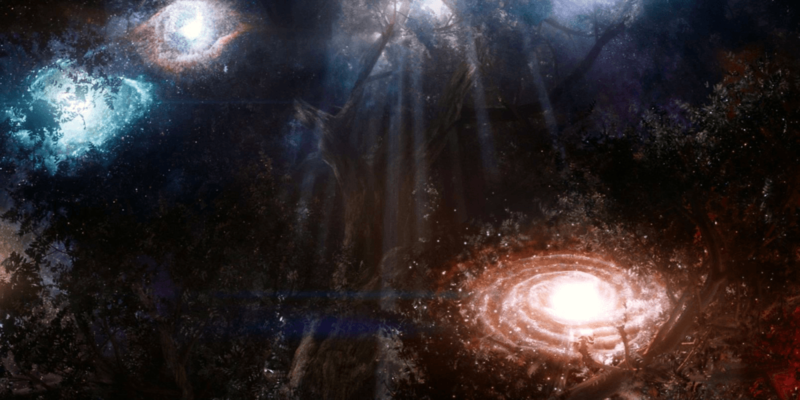 As it turns out, this long dead Celestial was one of the first of its kind. 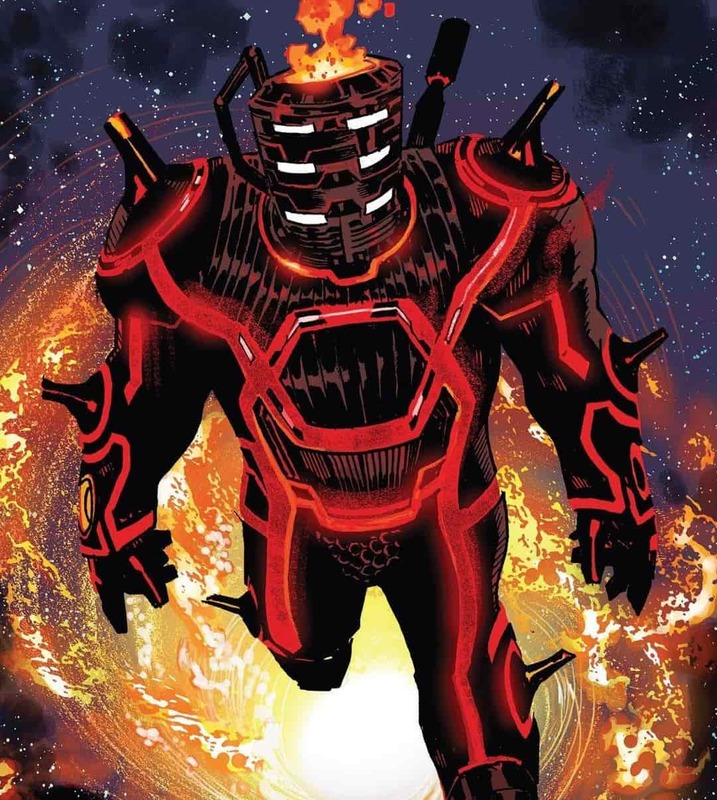 Celestials are super powerful cosmic giants that act as the judge, jury, and executioner of worlds. They are extremely powerful and can easily take down a galaxy within a snap. The Celestial Corpse we see in #4 was once attacked by a breed of locusts of outer space called the Horde. The horde killed the Celestial and his body would fall into a molten ball of celestial lava. That molten ball would eventually cool down to form earth. 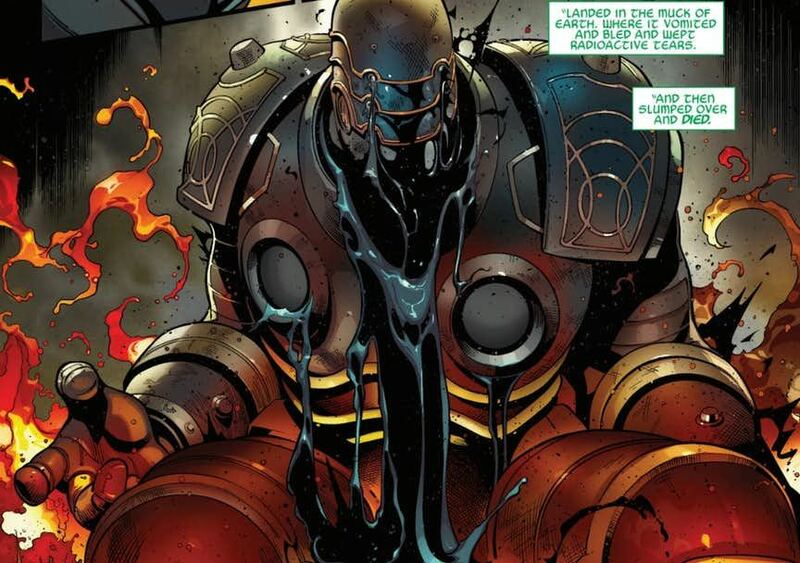 While cooling down, black radioactive blood form the Celestial’s corpse would eventually seep into the heart and soul of the planet along with their body radiating all kinds of mutagenic energy. All of this coupled with billions of years of evolution would eventually drive the human race to develop super powers. This does explain a lot of irregularities in the Marvel Universe. And it would explain why the Gods and the Superheroes came into existence. It was not divine intervention that created the superhuman community. It was just an accident. A Celestial was killed by a horde of space locusts and he chose the Earth as his resting place. All the things that happened after that, with the birth of humanity and it gradually gaining superpowers was in direct relation to that accident.